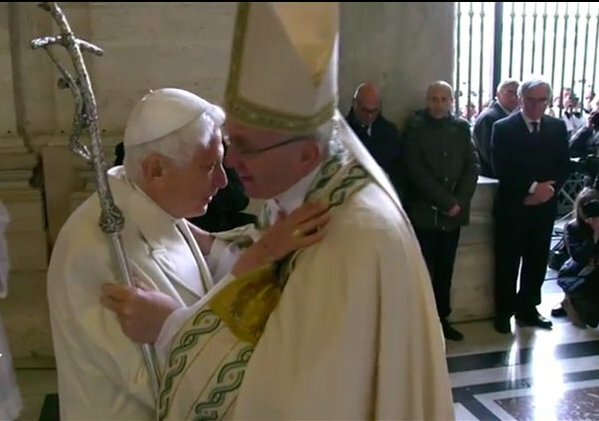 Sacerdotus: Jubilee Year of Mercy Begins! It is official. 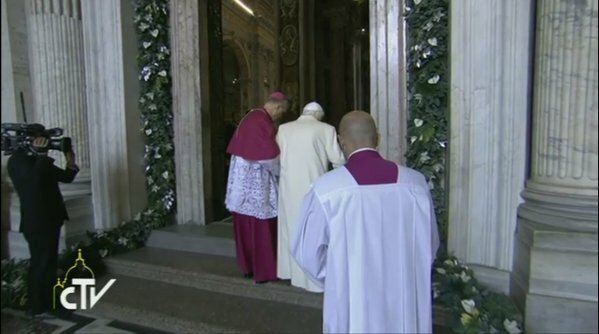 The Jubilee Holy Year of Mercy which was announced last spring (see: http://www.sacerdotus.com/2015/03/year-of-mercy.html) has begun on the Solemnity of the Immaculate Conception. 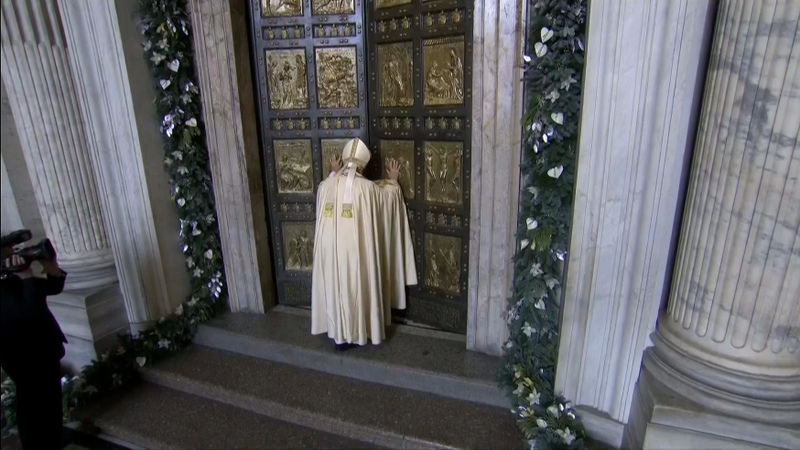 At about 5:10 AM EDT, the Holy Father opened the Holy Door at St Peter's Basillica. 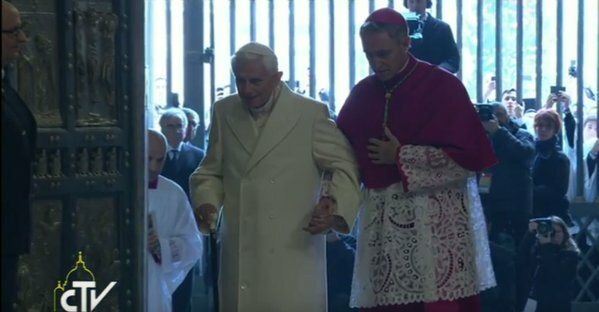 Pope Emeritus Benedict XVI was in attendance. Immediately, his predecessor Pope Emeritus Benedict XVI, fellow bishops, priests and deacons came through followed by the lay faithful in attendance. The theme of this Holy Year is Mercy. We are called to be more merciful to others and call on the mercy of God in our own lifes. 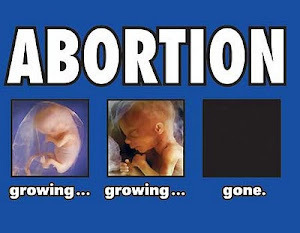 The Pope has given faculties to all priests so that they can absolve sins that have brought about automatic excommunication such as abortion (see: http://www.sacerdotus.com/2015/09/abortion-forgivable-during-year-of-mercy.html). 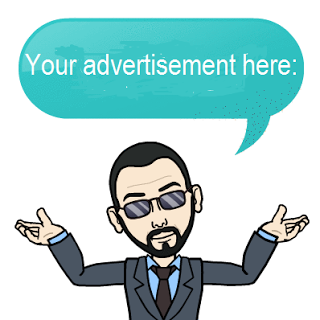 In addition, the Pope accepted applications from priests who desired to be 'Missionaries of Mercy.' 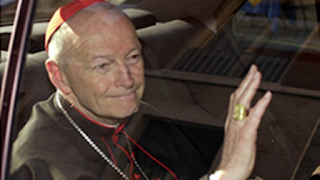 Their task is to preach on mercy and invite the faithful to frequent confession. 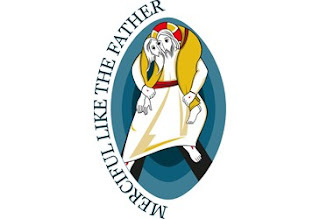 The Holy Year of Mercy has its own logo highlighting the 'Good Samaritan.' 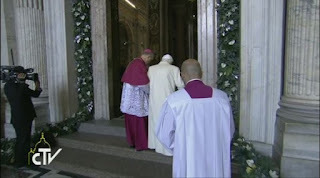 Jubilee years and the opening of a holy door have been celebrated in the Bible, see: Leviticus 25:8-13, Revelation 3:7. 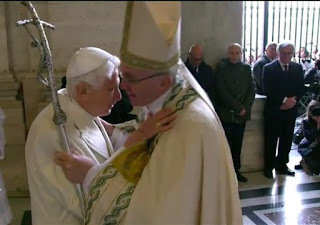 Let us pray for more mercy and be more merciful to others during this Holy Year of Mercy and thereafter.